At Hollins Communications Research Institute (HCRI), we help individuals who stutter achieve and maintain fluent speech for a lifetime. Our involvement with clients extends long after their participation in our 12-day stuttering therapy program. In fact, we serve as a partner in fluency for life. On the last day of therapy, clients receive an extensive package of fluency-practice tools and support that help habituate speech techniques learned during HCRI’s treatment program. HCRI “alumni” are encouraged to practice their newly acquired fluency skills once they return home. We also encourage them to check in regularly after therapy and reach out whenever they need guidance from our clinicians. For many participants, HCRI stuttering therapy is a one-time experience where fluent speech has replaced stuttering – and additional treatment is not necessary. Research demonstrates that 93 percent of clients achieve fluency by the end of their 12-day therapy program. In addition, 75 percent maintain fluent speech when evaluated two years after treatment. Some alumni may request additional assistance if they find their fluency has gotten off track after a period of time. This is why the institute hosts alumni refresher programs that are held on-site at HCRI and remotely via the web. Along with ongoing contact with HCRI clinicians, these refreshers have proven to be beneficial for clients. For example, an alumna who attended HCRI stuttering therapy nearly 25 years ago sent the following note after she was tasked with giving a challenging presentation at work. Before her presentation, she engaged in a remote Alumni Refresher program with one of HCRI’s clinicians. The therapy was conducted using FaceTime and a computer. It included eight one-hour sessions, which were scheduled twice per week. “I’m so proud to share a recent experience with you. As you know, I serve as a faculty member and researcher in higher education and regularly teach online and present at conferences. But the circumstances at the conference last week were more challenging than usual. I presented to an audience of approximately 100 attendees in person. The session was also being professionally filmed for later viewing, and live streamed to virtual attendees. Knowing that I was being filmed, plus the bright camera lights in my eyes, created additional pressure. But I did it! I fought the urge to rely on spontaneous fluency. I focused on full breath and amplitude contour [that I learned at HCRI] and felt confident in my ability to produce fluent speech. Again, I speak at conferences all the time, but not typically under these conditions. This scenario would’ve made any speaker nervous. Afterward, I had a moment of reflection and appreciation that I am a stutterer and I just did something pretty amazing. In addition to remote refresher programs for alumni, HCRI provides on-site, five-day Alumni Refreshers, two-day Target Tune-Ups, Alumni Retreats, hourly remote therapy sessions, and a variety of other offerings. For more details on these and other alumni-support services, click on the link below. HCRI was founded by Ronald L Webster, Ph.D. in 1972 to investigate stuttering through scientific discovery and treatment innovation. Virginia-based HCRI, a 501 (c) (3) charitable organization, has become an international leader in stuttering research and the development of scientifically derived therapy approaches. More than 6,500 people from across the U.S. and 50 countries have come to HCRI to achieve fluency. Clients come from all walks of life and include teachers, business professionals, athletes, broadcasters, engineers, musicians, students, doctors, military personnel, police officers, actors, a Supreme Court nominee, and even royalty. HCRI is located at 7851 Enon Drive, Roanoke, Va. 24019. For more information, visit www.stuttering.org or contact HCRI at 855-236-7032. Hollins Communications Research Institute (HCRI) is recognized nationally for providing advanced treatment for stuttering, along with extensive post-therapy support to alumni from across the country and around the globe. Yet, as our institute name reflects, research is inherent to our mission. We are committed to furthering the understanding of stuttering and how to treat the condition most effectively. We continually work on the frontiers of knowledge and technology to improve the analysis and treatment of stuttering. The outcomes of recent research include the rollout of our remote-access refresher program for HCRI alumni and a new children’s stuttering therapy program. In addition, we have exciting, new research endeavors underway that are summarized below. Much of this groundbreaking research can only be conducted at HCRI. The scope and depth of our experience makes such work possible. 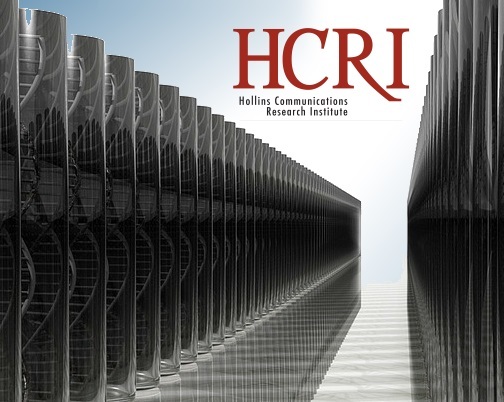 We have partnered with Dr. Dennis Drayna and his team at the National Institute on Deafness and Other Communication Disorders to evaluate the impact of HCRI therapy on individuals who have mutant genes for stuttering and those who do not possess such genes. The research is now complete and we are awaiting publication of the findings. Once the article is published, we will be in a position to discuss the results and implications for our treatment of stuttering. One of the great challenges with stuttering treatment lies in the subjective scoring of disfluent speech events. To address this, we are working on the first ever system to quantitatively measure and track stuttered vs. fluent speech through multidimensional acoustic analysis. Through the real-time scoring of critical speech parameters, we will be able to advance the effectiveness of both the assessment and treatment of stuttering. Fund important new research to enhance the understanding of stuttering and its treatment, with the ultimate objective of finding a cure. Provide essential operational support that enables HCRI to continue providing life-changing stuttering therapy. Make therapy scholarships possible for individuals in need. Donors may designate their tax-deductible gift to be used for research, scholarships and/or HCRI’s operating fund. One hundered percent of donation dollars are used to advance the understanding and treatment of stuttering. HCRI’s stuttering therapy is a science-based, immersion program that teaches individuals how to control stuttering by replacing faulty muscle movements that give rise to stuttering with new muscle behaviors that generate fluent speech. For 12 days, therapy participants work in a small group setting and are guided by specially trained clinicians who teach skills that help individuals overcome stuttering and speak fluently. HCRI’s therapy technology is used in the treatment process to help individuals acquire fluency with greater ease and precision. Therapy takes place in the clinical environment, as well as in real-world settings. By the end of 12 days, research demonstrates that 93 percent of participants achieve fluent speech. Follow-up studies reveal that 75 percent of clients maintain their fluency skills when evaluated two years post therapy. To learn more about HCRI’s stuttering therapy approach, call 855-236-7032 or send an email to info@stuttering.org. Following are insights provided by stuttering therapy clients who completed their 12-day intensive treatment at Hollins Communications Research Institute (HCRI – stuttering.org) in Roanoke, Virginia. At the end of their HCRI therapy program, clients were asked to write a few words of advice for individuals who are preparing to come to the national stuttering therapy center. Here’s what they shared. HCRI’s program is a science-based, immersion therapy that teaches individuals how to control stuttering by replacing faulty muscle movements that give rise to stuttering with new muscle behaviors that generate fluent speech. By the end of 12 days, research demonstrates that 93 percent of participants achieve fluent speech. Follow-up studies reveal that 70 to 75 percent of clients maintain their fluency skills when evaluated one and two years post therapy. To learn more about HCRI’s stuttering therapy approach, send an email or call us at 855-236-7032. To begin your journey to fluency with HCRI, complete a therapy application. Then, a member of HCRI’s team will reach out to discuss next steps and schedule your therapy session. Why HCRI for Stuttering Therapy? 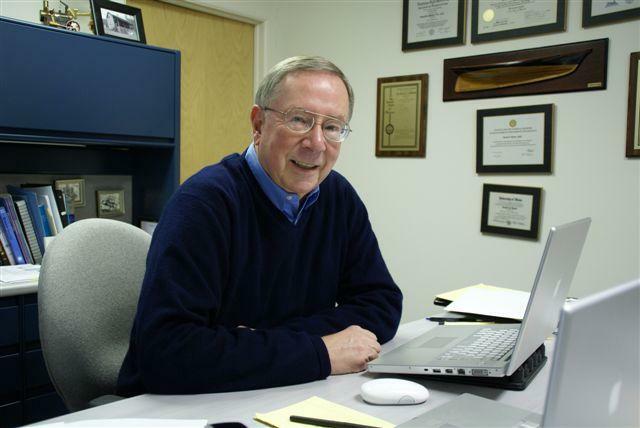 This article by Ronald L. Webster, Ph.D., president of Hollins Communications Research Institute (HCRI), discusses why individuals who stutter turn to HCRI to treat their speech condition and achieve fluency. Most of our clients are weary of stuttering when they first reach out to HCRI for help. They are tired of the frustrations, the uncertainties about the impact their stuttering has on others – and for many, the persistent lack of success they have experienced with previous therapies. They are just normal people who sometimes have trouble speaking. And, by the completion of our 12-day stuttering therapy, they became normal people who can speak fluently and spontaneously. HCRI offers a better than 90% chance that new clients will achieve fluent speech by the end of our 12-day program. And, at one- and two-years post HCRI, 70% and 75% respectively are retaining normal fluency. Just as importantly, they experience normal reactions to everyday speaking situations. At our Virginia-based center, we developed and administer our stuttering treatment program called Hollins Fluency System III: High Definition Speech Reconstruction for Stuttering. We have learned that for a person to be successful in learning and locking in the behavioral details that actively generate fluent speech, it takes a close-up and personal form of instruction. It also takes an intensive therapy schedule to accomplish the training goals for our program. We constantly study our program structure, the instruction sets, the electronic components of our system, and the clinician instructions and interactions with our clients. If we find weaknesses in performance within any component of our system, we isolate it, study it, and make corrections. When we discover opportunities that elevate the therapy experience and outcomes, we make enhancements. Our focus is to continually strengthen our therapy for the benefit of the clients we serve. Our program is validated by the positive results obtained with literally thousands of persons who stutter. We believe that our therapy offers each person who demonstrates developmental stuttering a solid opportunity to become a fluent speaker. After all, we know from direct experience that most individuals who come to HCRI have the motivation and willingness to learn that make them successful within and beyond our program. HCRI provides an excellent, multi-faceted package of post-therapy support for each participant. While most program graduates do not require additional help, some benefit from taking advantage of our offerings. For example, there are clinical contacts offered on an as needed basis. We also offer support group participation for persons who benefit from practicing their fluency skills with each other. We provide each therapy graduate with FluencyNet, a computer-based speech monitoring system for use on their home computer. FluencyNet helps habituate fluency skills taught during therapy by providing users with real-time measurements of speech utterances and immediate, accurate feedback that guides client practice of correct responses. HCRI’s Voice Monitor app for the iPhone puts a “clinician in your pocket” that can be used by clients anywhere to evaluate and practice their fluency skills. We are not aware of another treatment for stuttering, anywhere in the world, that operates at the levels demonstrated by HCRI’s program. Our clinicians work each year with more persons who stutter than most clinicians are likely to see in a professional lifetime. (3) Presented with a known probability of both short-term and long-term positive results. We provide a unique, comprehensive system for bringing robust, fluent speech to individuals who stutter. We have extensive data that validates the effectiveness of our treatment for stuttering. We can say, with critical accuracy, that we have learned a few important facts about stuttering – and we have assembled them in a solid manner to help people improve the realization of their personal potential through fluent speech. The work we do each and every day is designed to achieve the ultimate objective of improving lives through fluency. A recent client survey revealed the following. 96% said our therapy program was worthwhile to them. 79% said their personal happiness and satisfaction increased post therapy. 69% said they improved their social life and relationships after their HCRI experience. 84% reported increased confidence after participating in HCRI stuttering therapy. 78% said HCRI therapy participation helped enhance their quality of life. If you believe that you can find a more objective and effective treatment for your stuttering, then we recommend you take it. In fact, we encourage individuals to compare therapy programs side-by-side. If you recognize that HCRI offers an important set of advantages, we invite you to come to the institute, do the work, and generate a better quality to your life through fluency. We always welcome inquiries and questions. We talk with persons who stutter every day and encourage you to reach out at 855-236-7032 or info@stuttering.org. If you would like to submit an application for our therapy program, please click here: Apply to HCRI. 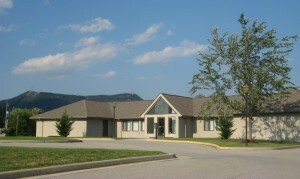 HCRI is located at 7851 Enon Drive in Roanoke, Virginia. All therapy is adminstered in Roanoke at our national center. We have exciting developments underway here at Hollins Communications Research Institute (HCRI), including initiatives that will impact how stuttering is viewed and treated in the future. As you review a summary of our news below, we ask you to consider giving a gift to our nonprofit center that will enable these projects to flourish. Our goal is to raise $125,000 by the end of 2018. We are leading a study with the National Institute on Deafness and other Communication Disorders that examines the impact of HCRI therapy on persons with mutant genes for stuttering. The findings may lead to an exciting new way to target stuttering therapy to optimize outcomes. We have initiated test trials on a new clinical treatment program that is designed to enable fluent speech in children. It would be terrific if we could bring this new method into our HCRI offerings and help children near and far eliminate the burdens of stuttering in their early lives. We have rolled out a program for past therapy participants that enables distance refresher training via the web. While we do not yet have our 12-day therapy available remotely, we have a solid base through this effort that will lead to that long-term goal. We are once again working to increase scholarship assistance to young adults who want our therapy but who cannot afford to attend. The opportunity to participate in HCRI therapy can transform their futures. Please help us reach our goal of raising $125,000 by the end of the year. At HCRI, we are on the threshold of remarkable developments that represent new avenues to help more persons achieve fluency. Your tax-deductible donation can make a better tomorrow for individuals who stutter. Please consider a gift to HCRI today. Thank you in advance for your support. To learn more about the important work we do, please visit www.stuttering.org or call us at 855-236-7032. HCRI is a 501 (c) (3) nonprofit organization. 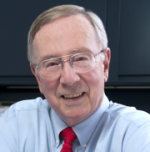 The pioneering center was founded by Ronald L Webster, Ph.D. in 1972 to investigate stuttering through scientific discovery and treatment innovation. Virginia-based HCRI is now an international leader in stuttering research and the development of scientifically derived therapy approaches. More than 6,500 people from across the U.S. and 50 countries have come to HCRI for stuttering treatment. Clients come from all walks of life and include teachers, business professionals, athletes, broadcasters, engineers, musicians, students, doctors, military personnel, police officers, actors, a Supreme Court nominee, and even royalty. In this article, Ronald L. Webster, Ph.D., president of Hollins Communications Research Institute (HCRI), offers a quantitative perspective to help individuals evaluate the cost that stuttering imposes on people’s lives compared to the cost of attending HCRI’s 12-day stuttering therapy program. HCRI’s immersion therapy is a powerful, proven behavioral based treatment that works across stuttering types and severities. During therapy, participants systematically learn how to replace the distorted contractions and movements that give rise to stuttering with new speech-muscle behaviors that generate fluent speech. Looking at the Numbers: Is HCRI Stuttering Therapy Worth the Investment? It has been estimated that individuals who stutter, compared with those who do not stutter, are likely to earn approximately $7,000 to $8,000 less per year. The simple fact is that stuttering is generally viewed as a negative in the world of work. Typical business hiring practices and promotion policies do not provide accommodations for persons who stutter. Over the course of a working lifetime of 45 years, the anticipated personal earnings of the person who stutterers is approximately $335,000 less than for a person who does not stutter. That represents slightly over one third of a million dollars of lost earnings. And, in a significant number of potential high achievers, the lost earnings could be much higher. Now, contrast that number of lost wages with the cost of stuttering therapy at HCRI, with its high probability of a successful, fluent outcome. The present HCRI stuttering therapy fee of $4,285 provides an intensive 12-day program involving 100 hours of direct treatment. That means that the actual cost of this program is under $43 per clock (60-minute) hour. Contrast that with other therapies that may well be $80 to $120 per 45- to 50-minute clinical hour. The lifetime cost of HCRI stuttering therapy comes to 1.8 cents per day. Considering the potential of lost wages over a working lifetime, the investment in HCRI stuttering therapy delivers impressive returns. Therefore, the return on investment of your therapy fees has the potential to be significant over a career. You may also wish to learn that 78% of program graduates surveyed indicated they had increased their quality of life after participating in HCRI therapy. In the same survey, 79% said their personal happiness and satisfaction increased and 84% reported greater confidence after participation. There are genuine personal and economic factors to be considered when you are selecting a stuttering treatment program. Our program at HCRI provides exceptional value to our clients. Research demonstrates that 93% of HCRI stuttering therapy participants achieve fluent speech by the end of their 12-day program. When evaluated two years after therapy, 75% maintain their ability to speak fluently. These numbers represents among the strongest documented outcomes of any stuttering therapy. Therefore, there is a strong likelihood of success with HCRI stuttering therapy. 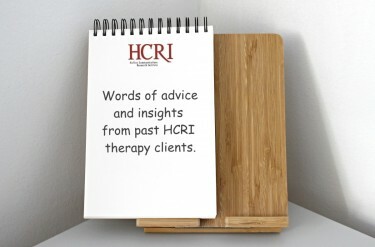 Your commitment to the therapy process at HCRI plays a key role in your outcomes, as well. We invite you to learn more about our approach to stuttering therapy and how our science-based treatment can benefit you. For more information, contact us at 855-236-7032 or via email. Our website at www.stuttering.org also offers extensive information on our program and what you can expect. HCRI Alumni: Do you need to get your fluency skills back on track? HCRI headquarters is in Roanoke, Virginia. If you want to work on your fluency skills and build speaking confidence before the end of the year, we encourage you to participate in one of our upcoming Alumni Refresher or Target Tune-up programs. You will find these HCRI alumni programs productive and beneficial. During this five-day refresher, you will join other HCRI alumni and engage in an in-depth review of the fluency skills taught during the institute’s 12-day stuttering therapy. Led by HCRI’s skilled clinicians, this program is designed to help you recapture the ability to control your stuttering and speak fluently in everyday situations. HCRI’s Target Tune-up runs two and a half days and focuses on finessing target production to optimize your fluency. You will work on your speech in HCRI’s small group setting and benefit from one-on-one clinician support. There are a limited number of spots for these program dates. Therefore, please contact us right away if you are interested in participating. To determine which alumni program is best suited to your needs, contact Clinical Supervisor Holly Humphreys at 540-265-5659 or holly@stuttering.org. Holly will also assist you with registration and answer any questions you have. We look forward to welcoming you back to HCRI. If you have not attended HCRI stuttering therapy and would like to learn more, please contact us at 855-236-7032 or info@stuttering.org. We also encourage you to visit us at www.stuttering.org to learn about our science-based approach to stuttering therapy, see therapy outcomes, and watch before-and-after videos. At Hollins Communications Research Institute (HCRI), we always welcome calls and emails from individuals who stutter and look forward to answering questions about our 12-day stuttering therapy program. To help those who want to learn more about our treatment, we also offer extensive information online at stuttering.org and provide helpful information packets on request. Our team has compiled a list of HCRI Frequently Asked Questions that we include in our nonprofit center’s materials and on our website. Recently, HCRI President Dr. Ron Webster was asked some additional questions we felt were important to share. Following are those questions and Dr. Webster’s responses. Is your proprietary stuttering therapy program offered only in Roanoke, Virginia? Yes, our 12-day treatment program is administered only in Roanoke. Why? HCRI’s facility is designed for the specific purpose of administering stuttering therapy, researching the condition, and developing treatment innovations. Our building is equipped with customized electronics and therapy technology that facilitate the learning of lasting fluency skills. In addition, our treatment tools and protocols enable our team to constantly monitor therapy procedures to always deliver the highest standards of clinical excellence. In addition to administering our therapy program, HCRI’s expert clinicians continuously evaluate the details and effectiveness of our methods. Constant scrutiny of our work is a necessary component of keeping quality standards where we think they have to be to deliver powerful, effective stuttering therapy. At HCRI, you can count on benefiting from our focused approach to your therapy. You can be assured that the quality of your experience at HCRI will be worthwhile for you. Is your HCRI stuttering therapy available on the web? Could we conduct our program via the internet? Yes, but we don’t – and for good reason. Our work on distance therapy has shown that, at the present time, we cannot meet the same standards of excellence that are met when clients come to HCRI. There are too many variables at work that compromise the quality of fluency training. If you wish to receive our highest standards of therapy delivery, you will travel to Roanoke. We will not offer convenience in place of quality. In addition, when you attend therapy here, you will receive careful, direct attention from our clinicians that guides the quality of your training in ways that are unique to your learning style. You will benefit maximally from the powerful experience of being here. Our therapy program involves 100 hours of instruction and guided practice of fluency skills, skill sequences, and error recognition and correction. Your speech is complex. It takes time and precision learning to change the detailed way in which you understand your speech, alter small details of speech-muscle activity, and use fluency skills in your daily life. One hundred hours is the minimum time that we have found to be effective for most of our clients. There appears to be no good shortcuts to this proposition. Is HCRI stuttering therapy a good value for me? If you look at the cost of therapy, which totals $4,250, there is no argument that a significant amount of money is involved. However, if you look at the cost related to the number of therapy hours you receive with HCRI, then our therapy cost comes in at $42.50 per hour. In contrast, many therapists charge $90 per clinical hour (a 50-minute period). If it takes you 100 clinical hours of such treatment, you will need to pay roughly $9,000. And, you likely never received upfront information about the success rates of such therapies. When you consider HCRI’s fluency outcomes, then our program is likely to be more effective and cost less than most therapies available today. An old physician friend once said to me, “The most expensive medicine is that which does not work.” You might wish to think about that idea as you consider selecting a therapy for yourself. HCRI stuttering therapy has a record of producing excellent fluency results for most of our clients. Research shows that 93 percent achieve fluent speech by the end of their 12-day program. Seventy to 75 percent of clients maintain fluency when evaluated one and two years post therapy. As one of our clients said, “In fact, the HCRI stuttering therapy program is not expensive – in my view, it is priceless!” We think that says it all. Does HCRI offer any follow-up assistance in the event I need it? Yes, our post-therapy support is comprehensive. Yet, most of our clients report that they do not need continuing follow-up treatment to retain their fluency. The reason for this is that HCRI stuttering therapy relies on new ways to train speech-motor skills that use the correct application of fundamental principles of learning. Our research results demonstrate that our clients learn robust fluency skills – not fragile fluency skills that breakdown soon after therapy is completed. For those who want additional assistance after their therapy program, we provide direct clinical instruction via telephone or computer video conferencing. Often, a quick clinical insight from one of our clinicians puts a client back on track. Every client receives a take-home package that includes HCRI’s fluency-practice software, therapy manuals, and the use of our proprietary app that help keep fluency skills on track. We host refresher programs and an annual retreat for our clients. In addition, alumni-led practice groups via phone are available year round. 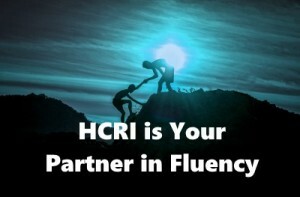 At HCRI, we are your partner in fluency for life. If you have additional questions about our nonprofit center or HCRI’s science-based approach to stuttering therapy, please contact us at 855-236-7032 or info@stuttering.org. Hollins Communications Research Institute (HCRI) announces new fall and winter program dates for the national stuttering research and therapy center’s 12-day stuttering treatment program. HCRI stuttering therapy is powerful, practical and proven. Invented in-house by HCRI’s own research scientists, the nonprofit institute’s stuttering therapy offering is an advanced, innovative system that helps individuals who stutter acquire life-long skills to control stuttering and speak fluently at will. The 12-day behavioral therapy is an immersion-based program with systematic treatment protocols and proprietary technology. 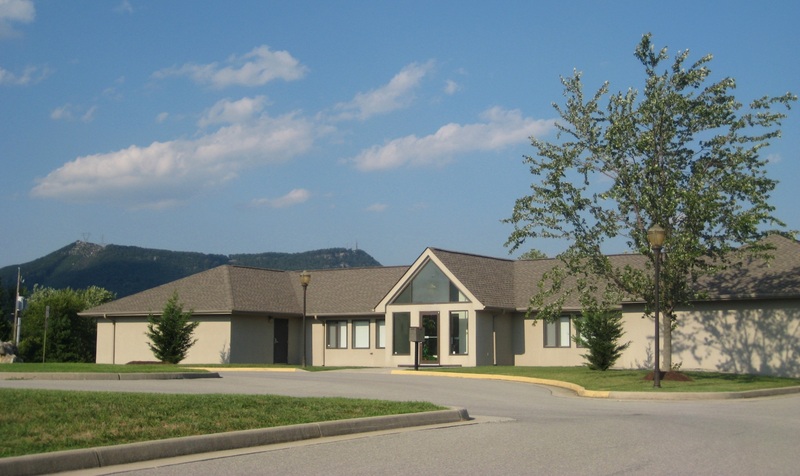 HCRI’s stuttering research and therapy center is based in Roanoke, Virginia. HCRI stuttering therapy operates at the highest level of quality-controlled, behavioral stuttering therapy available today. In addition, HCRI clinicians are the only professionals in the world certified to administer the therapy. They participate in a rigorous 500-hour training program to ensure the best possible fluency outcomes for clients. For individuals interested in enrolling, simply complete an online stuttering therapy application on the institute’s secure website. The team at HCRI will follow-up with each individual to answer questions and schedule program dates. Stuttering therapy scholarships are available for the fall and winter program dates for those who need financial assistance and who qualify. Information about scholarships will be provided once a therapy application is submitted. More information about HCRI and the center’s advanced stuttering therapy system is available at www.stuttering.org. Individuals may also contact HCRI at info@stuttering.org or 855-236-7032. All inquiries are welcomed. Hollins Communications Research Institute (HCRI – www.stuttering.org), a national center for stuttering research and treatment innovation, welcomes two new clinical team members: Amy Finch and Kristin Stanley. Both professionals bring to HCRI excellent behavioral therapy experience and a passion for helping individuals overcome challenges. Kristin and Amy have just completed HCRI’s rigorous 500-hour training that certifies them to administer the nonprofit center’s advanced stuttering therapy program. Certification is required of all HCRI clinicians to ensure clients benefit from consistent, precise delivery of HCRI therapy and the highest standards of clinical excellence. As staff clinicians, Kristin and Amy join current clinical team members Holly Humphreys, Candy Smith and Courtney Stackhouse to serve HCRI alumni and new therapy participants. 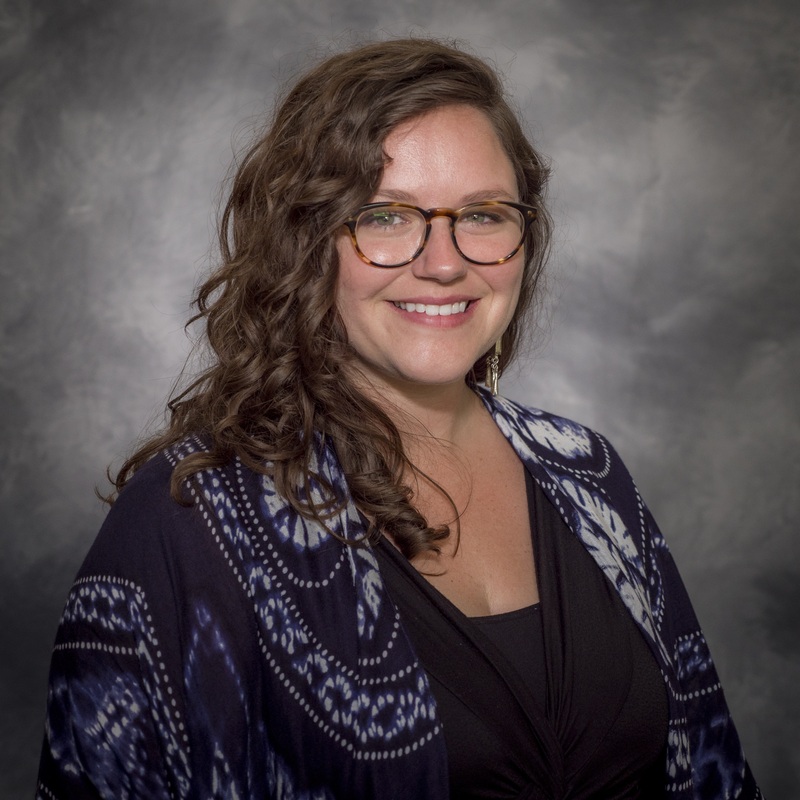 Amy Finch came to HCRI after extensive experience serving as a clinician and director of human resources for a private mental health facility in Virginia. She is a graduate of Virginia Commonwealth University. Amy was drawn to HCRI because of the dramatic impact that the therapy has on the lives of clients. She says it is so rewarding to see the smiles on clients’ faces when they leave the program speaking fluently. In her free time, Amy spends time with her husband and son enjoying the array of outdoor activities that the Roanoke Valley offers. 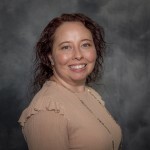 Before joining the HCRI team, Kristin Stanley worked as a psychiatric case manager at Blue Ridge Behavioral Healthcare. 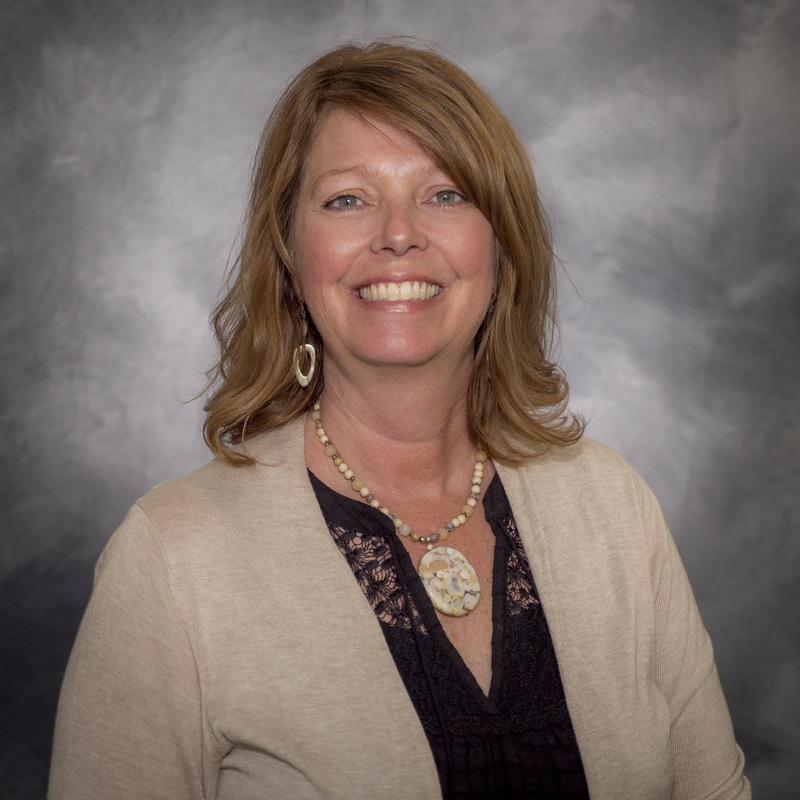 Her experience also includes serving as a social worker for a senior living facility. 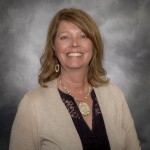 Kristin graduated from Johnson University with a bachelor’s degree in counseling. She has a gift for encouraging people to achieve their goals, which she has applied throughout her career. Kristin says the best part of her job at HCRI is watching the incredible transformation that takes place when clients achieve fluency and gain confidence with their speech. In her spare time, Kristin enjoys traveling and painting.